Is China Stealing America's Top Stealth Fighter Jet Secrets? This is going to make some people scream. On the right, the J-20 stealth fighter jet, made in China for the People's Liberation Army Air Force. On the left, the F-22 stealth fighter jet, made in the America exclusively for the United States Air Force. 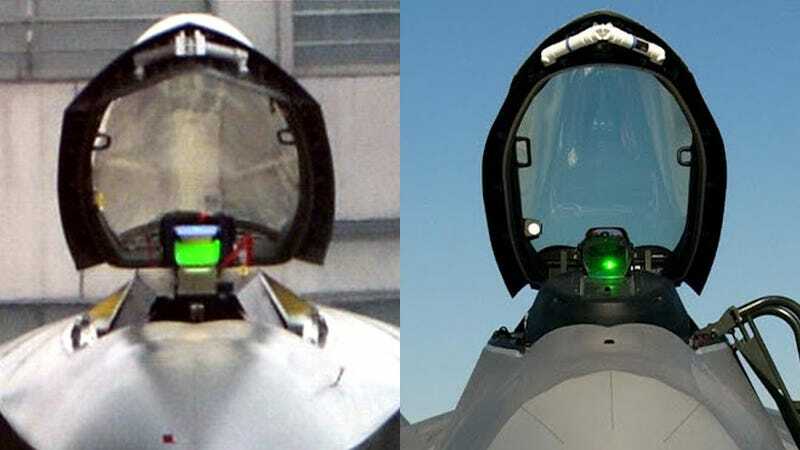 Actually, the one on the left is the first head-on shot of the J-20, showing its holographic Heads Up Display. And the one on the right is Lockheed Martin's F-22 Raptor, which is the most advanced stealth jetfighter in the world, a single-seat, twin-engine fifth-generation plane that moves like no other in the sky. Most of the F-22 Raptor is still secret. Unlike the rest of the USAF's fighter plane fleet, this is a plane that doesn't get manufactured to any other country in the world. It's the top dog. The untouchable airplane that is supposed to be uncontested in any air battle scenario. This jet is the guarantee of the US military air superiority against any other nation in the world. The Chengdu J-20, China's first stealth fighter jet. The Lockheed Martin F-22 Raptor, the top air superiority jet of the United States Air Force.